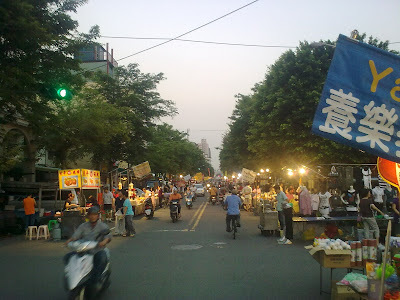 In addition to regular night markets, there are also temporary ones. I consider the later more lively. The business hour for this one is held every Monday from dusk till 22ish. 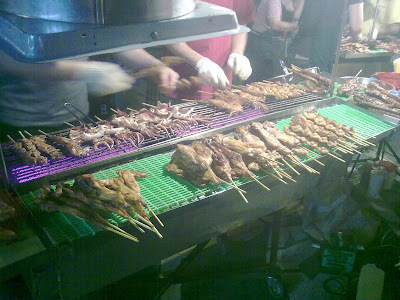 My favourite is the BBQ stand at its east end.